Denny Jump (Bellevue, WA, United States) on 5 March 2014 in Landscape & Rural. 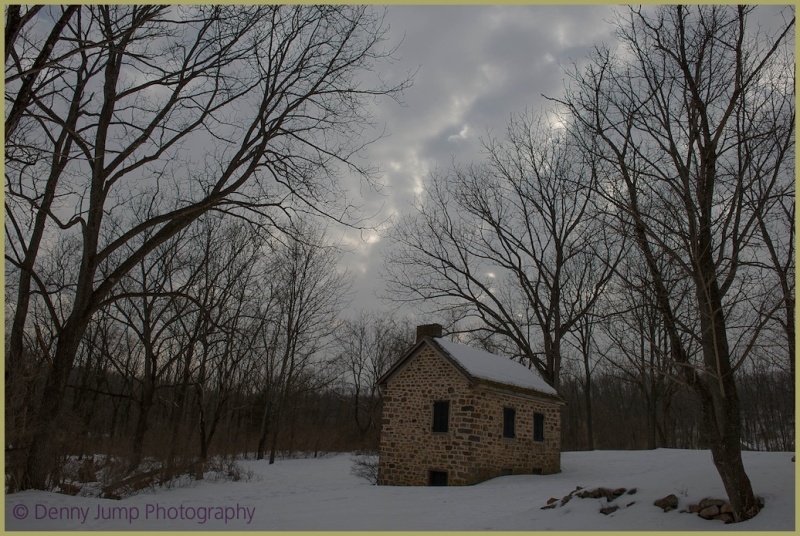 This old Gun Mill Hut brings a very cold air to an already frigid day.. The cold brings such a stillness to scenes like this . . no motion blur here. Ooh, what a wonderful little house! That place would be hard to heat. Fantastic winter mood! Love this! That is a beautiful old stone building. It looks gorgeous in the snow! We had about 8 inches on Monday. Luckily it has warmed up and it is melting! the gloomy light emphasises the coldness and Winter feeling very well! fine work on the exposure here - the detail in the Hut is very good! We have had way too many of these days this year but you brought out the beauty of it. Always love your perspective and beautiful photos, Denny! A cold and solitary scene.